The San Francisco Giants are the defending World Series champions, but listening to most season previews you’d never know it. With Spring Training right around the corner, all the talk is about the Philadelphia Phillies and their reacquisition of Cliff Lee that shocked the baseball world this winter. With Lee, the Phillies have put together a pitching version of Murderer’s Row, and are the hands down favorite to not only win the National League pennant, but to win the World Series, as well. But that is the great thing about pitching: it is baseball’s great equalizer. Any baseball fan needs to look no further than the stat that matters most – World Series wins – to understand that with a solid rotation, even the smallest market team can put together a winning franchise through home grown pitching, and some creative trades. Both of last year’s pennant winners, the Giants and the Rangers, are shining examples of this. While the New York Yankees, New York Mets, or Boston Red Sox should be competing to win every year late in October, they don’t; in the Mets case, they don’t even come close. Why? Because the treasure trove of talented pitching that has emerged in both the American and National League over the past decade has created a much needed boost in parity that baseball was lacking in the late ‘90s when the Yankees bulldozed through any team that got in their way. Since the Yankees won the World Series in 2000, non-“powerhouse” teams like the Florida Marlins (Josh Beckett, Burnett in his prime, Brady Penny, Carl Pavano), Arizona Diamondbacks (Randy Johnson and Curt Schilling, enough said), Chicago White Sox (Mark Buerhle, Jon Garland, Freddy Garcia), and last years Giants (Tim Lincecum, Matt Cain, Jonathan Sanchez) have all been able to call themselves champions, and they’ve all done so because of their outstanding pitching rotations. Yes, the Yankees squeezed one more victory in over the last decade, too, but when you’ve been to 40 World Series it’s more of a story when you lose rather than win. San Francisco Giants: They are the champions for a reason. Any team that can throw Tim Lincecum and Matt Cain in consecutive days is a team to be feared. With the jitters of his rookie season behind him, playoff standout Madison Bumgarner will look to eliminate any weak link he may have been last years rotation behind Jonathan Sanchez and Barry Zito, the latter of whom will now be used as a fifth starter. Those tough pitchers will be aided greatly by Bumgarner’s fellow sophomore standout and reigning Rookie of the Year, Buster Posey, with a full year of experience calling the shots behind the plate. In all, this staff and this team look for formidable than they did a year ago. Keep a sharp eye, Philly. Milwaukee Brewers: With Cory Hart, Prince Fielder, and Ryan Braun in the lineup, it’s hard to focus on anything else if your an opposing team, but in 2011 opponents will be more concerned with probable pitchers on the scouting report than the big sticks for the Brew Crew. 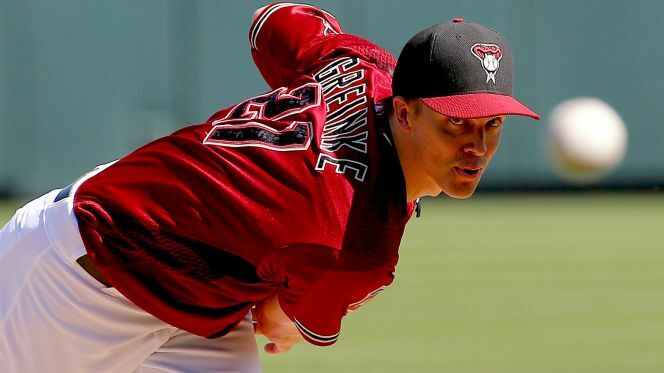 Offseason transactions brought 2009 Cy Young winner Zach Greinke over from the Kansas City Royals, as well as Shaun Marcum, who finished with a solid 13-8 record and a 3.64 ERA pitching for the Toronto Blue Jays in the dreaded AL East. Those two added to a rotation that still contains former ace of the staff Yovani Gallardo (14-7 with an ERA under 4 in 2010) and solid veteran Randy Wolf, and the Brewers could pose a major problem to the Phillies’ plan to return to National League dominance. St. Louis Cardinals: Another NL Central team, the Cardinals have two major things going for them: Albert Pujols, and arguably the best 1-2 punch in baseball, with all due respect to the Giants and Phillies, of course. Chris Carpenter and Adam Wainwright, two players who consistently steal votes from each other in the Cy Young race, sported a combined 36-20 record in 2010 and a combined ERA around three. And at 29 years of age, Wainwright is just hitting his stride. If the back end of the rotation with last year’s standout rookie Jaime Garcia, veteran Jake Westbrook, and Kyle Lohse can remain not good, not great, but simply solid, then the Cardinals have a chance to find themselves punching a ticket to the Fall Classic once again. Cincinnati Reds: Really? Another NL Central team? I know, but hear me out. While this was one of, if not the weakest division in baseball last year, every team (except the Pirates, sorry Pittsburgh at least you have the Steelers and Sidney Crosby) has a chance to make the playoffs this year, and all have good enough pitchers at the front of their rotations to make some noise once the playoffs roll around. Plus, the Reds are the defending NL Central champs, after all. With young flame throwers like Edison Volquez (the ace of the staff who lost 50 games last year to suspension for PED’s), Johnny Cueto, 2010 rookie Mike Leake (who reminds me of a young Roy Oswalt), and the potential to add baseball’s freak of nature Aroldis Chapman (routinely hits 103 mph on the radar gun) to the starting rotation sometime during the season, this team is poised for another run toward the playoffs. If they make it to the final eight, it will be their arms that take them there. ERA significantly helps to get peoples attention). Every other starter in their rotation posted at least 10 wins last year, and none had a losing record. Though their road is the toughest of all the contenders, they have the youth and the talent to make it interesting for Philadelphia all season long. Besides, crazier things have happened (like, say, the Marlins themselves winning two World Series in eighteen years despite no fan support, a miniscule payroll, and trading away any player that they’ve groomed into a star). 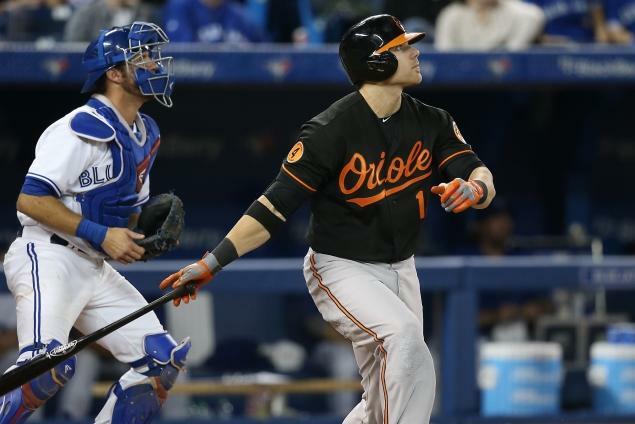 Check back for a second installment of The Arms Race, where I’ll break down some American League rotations that will flex their muscles in 2011. Phils have a great, great staff, no doubt. So do the Braves (I really like Hanson and Jurrjens). They’ll hand out the crown for best staff in October, so no sense in deciding that now. Just like last season I expect those same three teams to be in a playoff battle royal. Perhaps the best bullpen will be the decider–the 2010 Giants got some big performances out of the relief corps, it will be fun to see who steps up this season. True. I just don’t want to believe that Lee is with the Phillies..
What’s your top 5 NL Rotations? Plus “Oswalt…significant decline” seems unsupported by his 7-1, 1.74ERA after joining the Phils last year, and 6th overall finish in NL Cy Young voting. I wouldn’t take any staff over Philly. 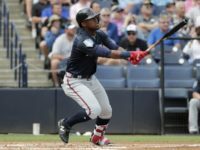 Braves have young talent – check back in 2-3 years. I would take Atlanta over Marlins though. Given that argument, age factor, the braves have to have the advantage then. Derek Lowe isnt there to do well, he’s there to eat innings. He’s the #5 on the rotation. So lets just throw him out of the convo. And lets not forget top ranked prospects: Teheran, Delgado, Vizcaino. Not much in the minors to help them out. Braves have a younger rotation, just one old guy. Hudson is only two years older than Halladay and Oswalt. Oswalt is showing significant declines in production. Age wouldnt be the way to argue which one has the better rotation. Yeah, last year could’ve been fluky for Hudson. For your consideration: The LA Dodgers staff. Kershaw/Billingsley/Lilly/Kuroda/Garland. The highest 2010 ERA among these projected 1-5 starters was Lilly’s 3.62. Plus a nice lefty/righty mix. Pretty good for regular season, maybe not playoffs. The Braves barely missed the cut in favor of Florida because Hudson (35) and Lowe (37) are getting up there in age and I’m not sure they can keep the same pace they did last year. They could prove me wrong, but I feel more confident going with the Marlins and Josh Johnson was a major factor. If Anibal Sanchez ever lives up, even slightly, to his potential, I like their depth over Atlanta. I’m totally open for a counter argument to try to change my mind, though. I want to know how the Pirates didn’t make the list? Come on! Whoa whoa whoa, How does the Braves not even make this list?